Credit Des Parr for providing match details found in this report. The 2013 European F-Class Championships are now history. Congratulations to new F-Open Euro Champion Joe Melia of Ireland, and new F-TR Euro Champion Paul Eggerman of Germany. 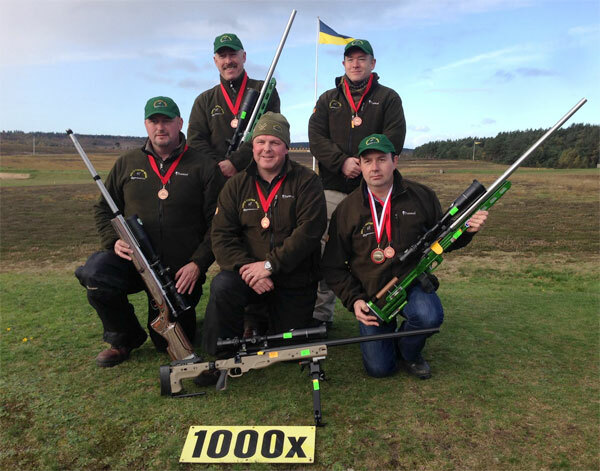 Held at the Bisley Ranges in England, the European Championships drew top shooters from all over the Continent, plus the U.K. and Ireland. Following the individual competitions, national teams competed, and Great Britain emerged the big winner. British teams won gold in F-Open, F-TR, and the Rutland Cup. Hail Britannia! In F-TR, the Germany’s Paul Eggemann shot a superb score of 447.35 to win the individual title, ten points ahead of his nearest rival. Ukraine’s Sergei Baranov took second with 437.22, while his countryman Sergei Gorban finished third with 436.26. 8-Man Event — Top place went to Team GB with 1084.58. Second place was taken by Italy with 1035.46 and in third was BDMP Germany with 1021.32. In F-TR, first place went to Team GB with 1007.32, with Team Italy second (987.31), and Ukraine third (978.26). 4-Man Rutland — There were ten, 4-man teams in the Rutland Competition. In F-Open, Winning Team GB was steered to victory by captain Peter Hobson with a super 524.19. France Open 1 took second with 522.17, while the Europe Open team was third with 497.22. Irish Teams won silver and bronze in the 4-man Rutland Match at the European Championships. Gary used a 300 WSM built by Gunsmith Peter Walker, with a Nesika L action, Benchmark barrel, and a March 8-80x56mm scope. 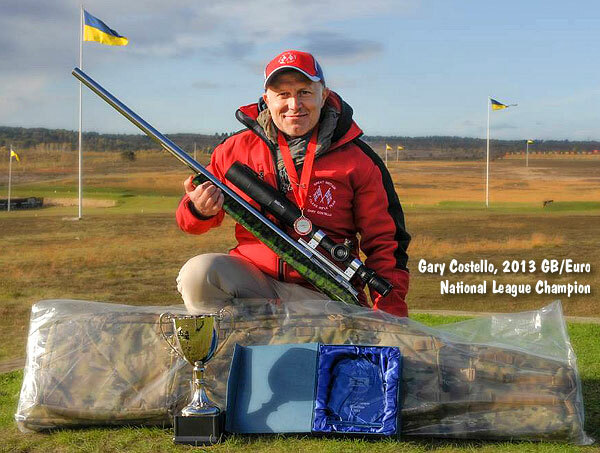 Gary told us that it took some time to master the 300 WSM, which has more recoil than a .284 Win, but in the end, Gary’s choice of caliber helped carry him to victory over a long season of hard-fought competition. Finishing second in League standings was Mark Daish with 70 points, while Des Parr took third place with 64 points. (Point totals based on best four matches.) Complete 2013 GB F-Class League Results are available on the GB F-Class Association website. Photos courtesy F-TR Ireland and Gary Costello. Share the post "Across the Atlantic: European F-Class Championships at Bisley"
Generally you want the biggest, heaviest gunsafe you can afford. However, for many gun owners, a 1000+ pound behemoth is impractical. For those who relocate frequently for their jobs, or who live up many flights of stairs, it is more practical to have a safe that breaks down into separate pieces for storage. In our Guide to Gunsafes, we reviewed the Zanotti Safe, a quality modular safe that breaks down into smaller, lighter components. Now there is a new type of modular safe that is more affordable than the Zanotti. Snapsafe’s Titan safe ships in three (3) flat boxes. Simply unpack the components and assemble the 330-lb. Titan on-site in about 30 minutes without tools. The SnapSafe™ Titan holds 10 rifles, weighs 330 lbs. assembled, and measures 60” H x 22” W x 17.5”. Side panels are 1/8″ steel and the door is 3/16”steel secured by eight 3/4″ live locking bolts. SnapSafe claims that its patented “Latch Wall Assembly” can be stronger than conventional welded construction. The safe does have some nice security features, including a Sargent & Greenleaf® digital lock, and spring-loaded relocker. We are pleased to see the safe comes with fire-sealing gaskets lining the door frame. These gaskets, combined with ceramic wool blankets in the walls provide a claimed one hour of fire protection against temperatures up to 2300ºF. 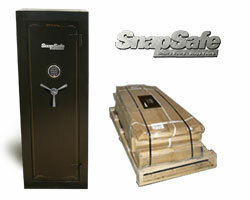 SnapSafe sells its Titan 10-Gun safe on SnapSafe.com for $899.00 (without shipping). The same safe is currently on sale at Midsouth Shooters Supply for $956.42 as a dropship item. Depending on your location, it may be less expensive to buy the SnapSafe from MidSouth. Share the post "Innovative Modular 60" x 22" Gunsafe Latches Together"